A “high security” lock is designed to be more resistant to being compromised than a standard lock. 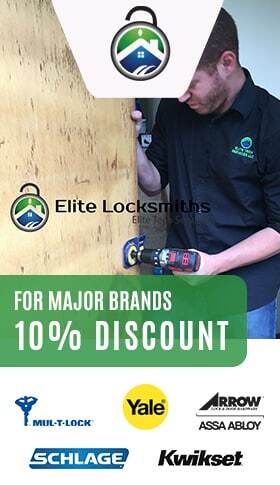 You’ll notice that many lock retailers will say that their locks offer a high level of security, in actuality, the lock has to have the correct security rating in order to be deemed high security. You can also determine which locks are “high security” by checking the ratings/reviews of a lock by locksmiths, lock manufacturers and lock security researchers. In general, these types of locks have certain features and designs that will increase their ability to defy forced or unauthorized entry, as opposed to regular locks, over a certain period of time. This means that the lock is not designed to be completely tamper-proof, but will make the lock compromise too time consuming or present too great a difficulty to defeat. Key Duplication Control – This is a type of lock that requires a proprietary type of key design that can only be duplicated by the lock manufacturer. They may also require a special key-cutting machine or patent-protected warding patterns and keybows. Resistance to Manipulating – High-security locks are designed with components that will resist decoding or lock picking attempts. The most common type of pin-tumbler lock components, in this category are “security pins”. Key bumping and key impression tactics can also be made useless with other types of components. Resistance to Forced-Entry – High security locks also commonly use extra strong materials and components, in order to prevent forced entry. These include extra-hardened lock materials as well as ball bearings and steel rods. Keyways which are Restrictive – The lock may also use very complicated keyways that make it more difficult to use lock picking tools. Do You Use high Security Locks? While, in many cases, specialized high security locks may not be necessary for everyday “light” security (a low-security file cabinet, inside office door, etc. ), there are other times when the extra security just makes sense. You can contact a professional locksmith with any questions you may have regarding this decision.